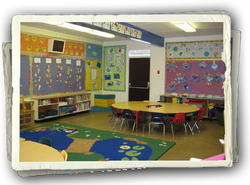 A safe environment where each child is treated as an individual. A team approach between staff and parents to nurture and guide children through open communication and mutual support. A stimulating environment that encourages curiosity, exploration and learning, where children can have fun and make positive choices. An atmosphere where children can learn to solve their own conflicts in a peaceful and constructive manner and develop positive social interaction skills. Contact us today to learn how you and your family can become a part of our family. Summer camp registration will begin on Monday April 1st. Our camp is open to the public age 5-11. We offer weekly programs that run from 7:30-5:30. Our days are filled with games, crafts, out trips, two trips to the Vancouver Waterslides and afternoon snack provided. Open to public registration will begin on Monday March 4th at 7:30 AM. We will be taking a first come first serve waitlist as we are unaware of how many spaces we will have available until June 1st. Registration will begin Tuesday September 4th for currently registered families. We will open registration to the public on Monday October 1st. Please complete the form below and return it with payment to Portable A with payment in cash, debit/credit card, or post dated cheques. Our camps run from 7:30-5:30 PM at a cost of $40 per day for registered families and $45 for non registered families. If you are new to our program, you will need to complete our program registration form as well.